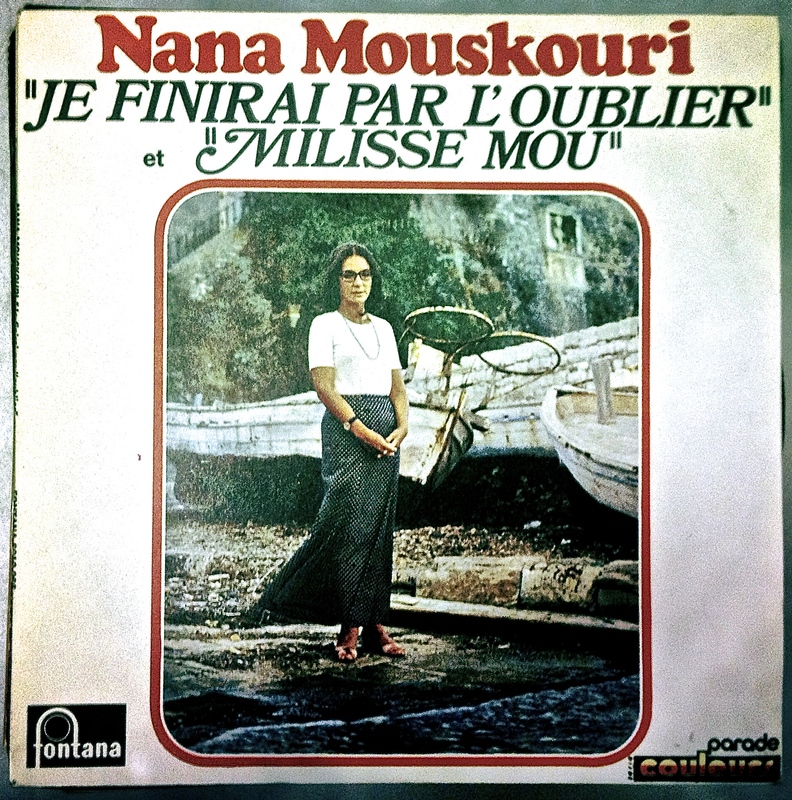 Born in Crete to a projectionist father and usher mother in 1934, Iōánna Moúschouri (Nana to her friends) had shown a clear gift for music at a young age. So did her sister, however. Her family could only afford music lessons for one of the girls, so they asked their tutor which one should have them. They were told that Jenny was more skilled, but Nana had the passion and the need to sing. Nana got the lessons. They must have been a bright spot in a childhood marred by the Nazi occupation of Greece. Her father fought in the Communist resistance. International fame came in 1961 when one of her songs was included in a popular German travel film about Greece. Nana recorded that song,“The White Rose of Athens,” in a number of languages; here’s the German version. Dig those puppet mice. Quincy Jones was a fan, and asked Nana to come to New York City to record some English language standards with him. The result is an elegant hoot, with Nana clearly having fun interpreting the songs she loved as a kid. This version of “I Get a Kick Out of You” is especially effervescent. 1966 saw Nana on tour with Harry Belafonte, who thought that she should really lose those glasses. She threatened to leave the tour, so the glasses stayed. A clip from that time can be found in this post on Belafonte. This 1968 clip of “Irene” gives equal screen time to her dexterous backing band, The Athenians, featuring her husband George on guitar. It also showcases the difference between Nana’s slightly raspy speaking voice and her flawless singing voice. Alas, Nana may have had some real experience to draw from in interpreting such a sad song, because she and George divorced in 1973. 1974 finds her in good spirits, though, in this duet with Demis Roussos, a magnificent vocal talent in his own right. Why he decided to attempt to outdo Nana in the robe department is a mystery best left to the ages. In 1993, Nana accepted the role of UNICEF’s Goodwill Ambassador, a position previously held by Audrey Hepburn. As a singer beloved all over the world for recording songs in Greek, French, Spanish, English, German, Japanese, Hebrew, Italian and other languages, Nana was a sensible choice. Her first mission was to draw attention to the plight of children in war-torn Bosnia. Nana is approaching her 80th birthday yet continues to record and perform. She has always kept busy, having recorded well over 100 albums, sometimes even doing five in one year. James Brown may have been the hardest working man in show business, but Nana Mouskori remains the hardest-working woman. Let’s close with a lovely duet from just two years ago.